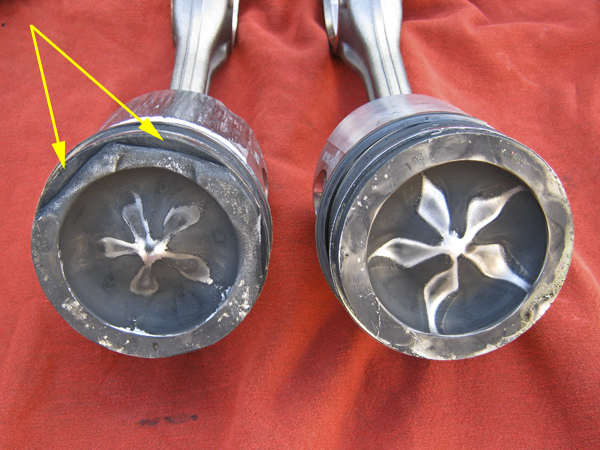 While Diesel engines are remarkably tough they are not indestructible and can be expensively damaged when abused. Take a look at these pistons from a Dodge Cummins Diesel. The vehicle owner had installed a performance chip in the computer and taking advantage of the extra horsepower hauled a trailer at high speed up the Coquihalla Highway. It was undoubtably an impressive site, watching a truck and trailer maintaining the speed limit uphill through the steep mountain grades. However a severe price was paid when a knocking noise developed in the engine. 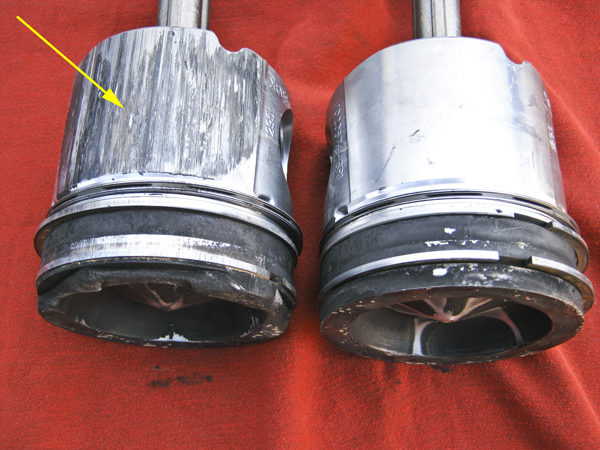 After tearing down the engine the damage was found: a partially melted piston caused by the relentless uphill quest for speed. This is an expensive diesel repair. If you own such a vehicle take care when driving, especially after making performance upgrades or modifications: all engines are built to take a set amount of strain and overdoing it could cost you big money.